I have learned the hard way that if you wait until the first big snowstorm to pick up a pair of suitable boots, they will be gone, so look alive: I have a pair of these Sorel boots, and they’re great for when it’s really coming down. 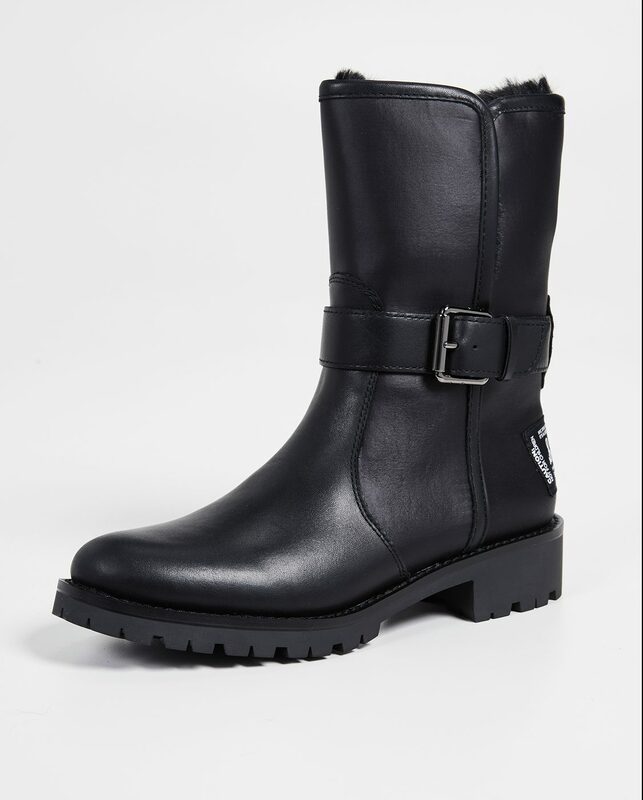 These Sperry boots look a bit like the Vince boots I showed you yesterday, except they’re more appropriate for wet weather, and a whole lot cheaper. These have a nice, lightweight, sneaker-ish sole. For those who require a little height in all conditions, these J. Crew boots are pretty adorable. 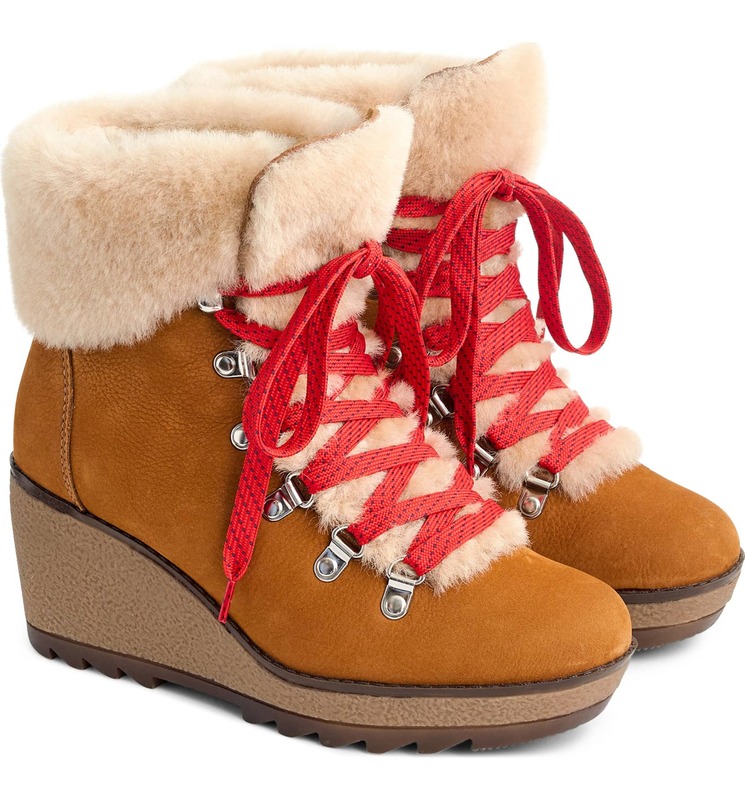 These look appealingly like Mukluks to me, only with treads on the soles so you can clomp through the snow in them. These look both cozy and utilitarian, and I dig the spiff black and white shoelaces. 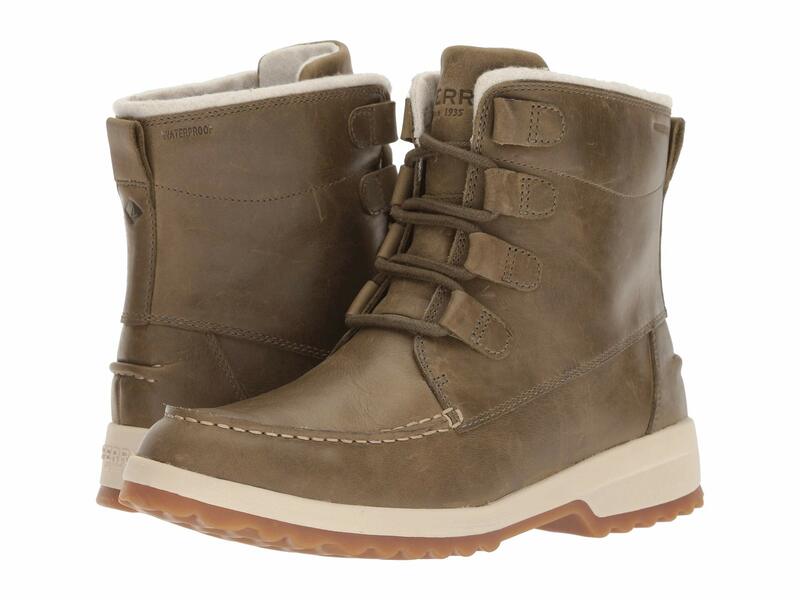 This Woolrich pair as minimal in design as foul weather boots get, and I’ll bet they’re seriously durable. This is a splurgier choice than the others, but they’re almost chic, and I really like the platform sole. 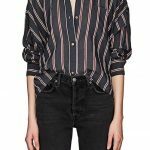 These are from La Canadienne and are also a bit of an investment, but they’re cool in a tough girl kind of way. A snow boot disguised as a motorcycle boot: genius. These classic L.L. Bean boots look so great once they’re a little worn in, and they last forever. And finally: the dogs seriously require boots when it snows, because all the salt on the sidewalks gets into their wee paws and really hurts. So I’m considering trading in the cheapies they usually wear (and that inevitably slip off) with these Ruff Wear booties that are apparently state-of-the-art. One woman in my Chicago neighborhood got badly bitten by her dog when he was being electrocuted by stray voltage. Dogs also require boots when the snow starts to melt - first because with salt, the snow melt is usually lower than 32 degrees, and secondly because of stray voltage. Get them some good snow boots with rubber soles. https://newyork.cbslocal.com/2017/02/13/dogs-stray-voltage/ One woman in my Chicago neighborhood got badly bitten by her dog when he was being electrocuted by stray voltage. The Bean boots are such classics – I’d be happy to have them forever! 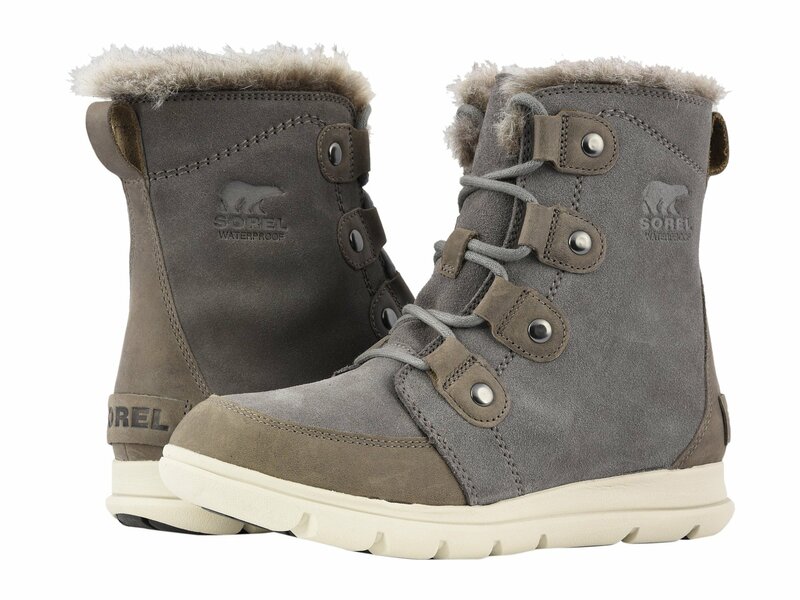 And Sorel’s are a Wisconsin classic for men and women. Good picks. The Bean boots are such classics - I’d be happy to have them forever! 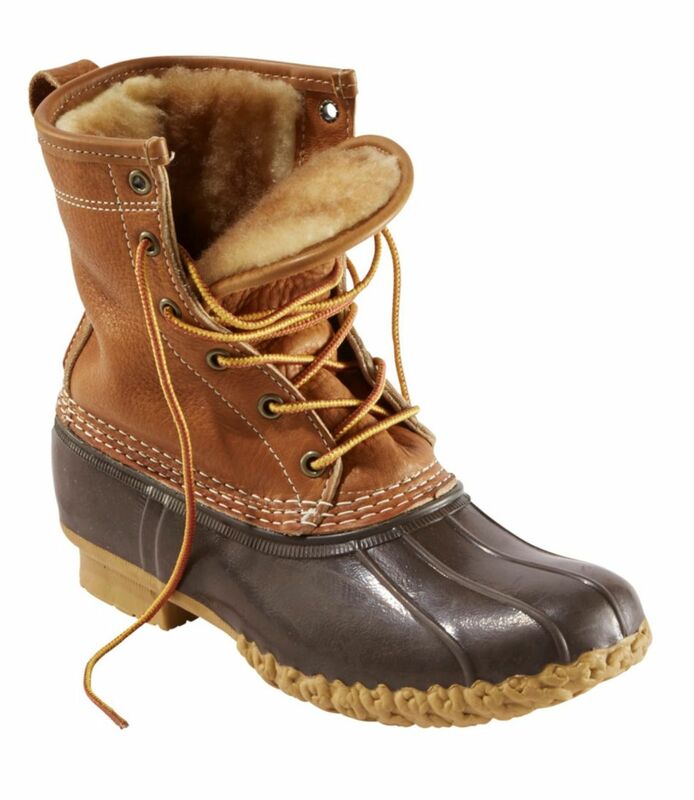 And Sorel’s are a Wisconsin classic for men and women. Good picks. Goodness, how do you get your pups to wear these boots? My dog refuses….as in fights-me-to-the-death-if-I-try-to-put-them-on-her. Goodness, how do you get your pups to wear these boots? My dog refuses....as in fights-me-to-the-death-if-I-try-to-put-them-on-her. 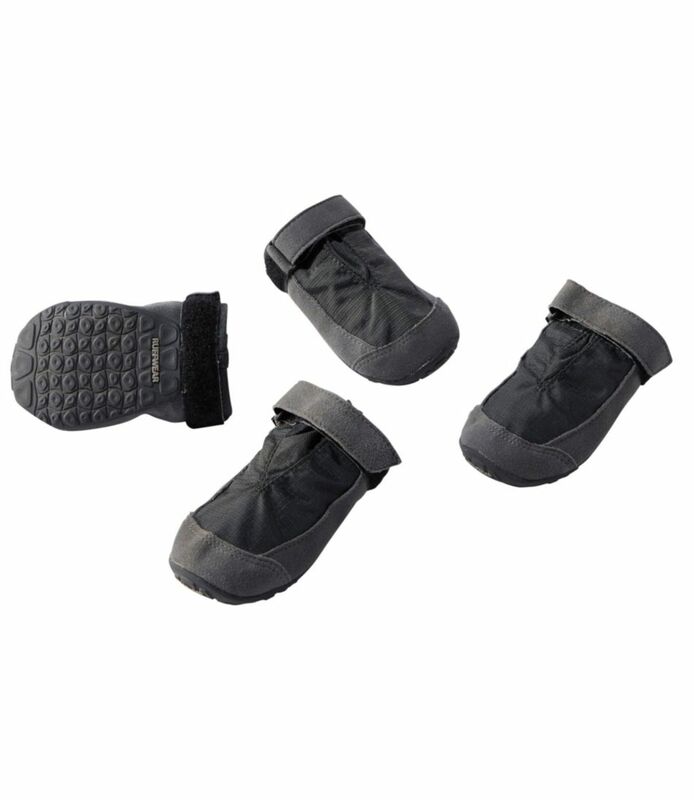 My dog also hates the fabric boots, but we’ve had much better luck with these rubber ones: https://www.pawzdogboots.com/. Getting them on isn’t so fun (it helps to have a little dog you can just turn upside down and pop them over her feet), but once on they stay and don’t bother her. My dog also hates the fabric boots, but we've had much better luck with these rubber ones: https://www.pawzdogboots.com/. Getting them on isn't so fun (it helps to have a little dog you can just turn upside down and pop them over her feet), but once on they stay and don't bother her. I love those J.Crew wedges, so I hurried up and ordered a pair. 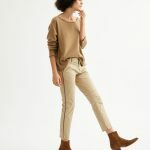 PS: They are 50% off on the J.Crew site! I have those Sorels but wear a size 11 and damn are they heavy. I only wear them when I’m shoveling or snow blowing. I am really digging the green Sorel boots, would pull the trigger on them if I didn’t already have a pair of foul weather boots. Great boot posts today & yesterday. 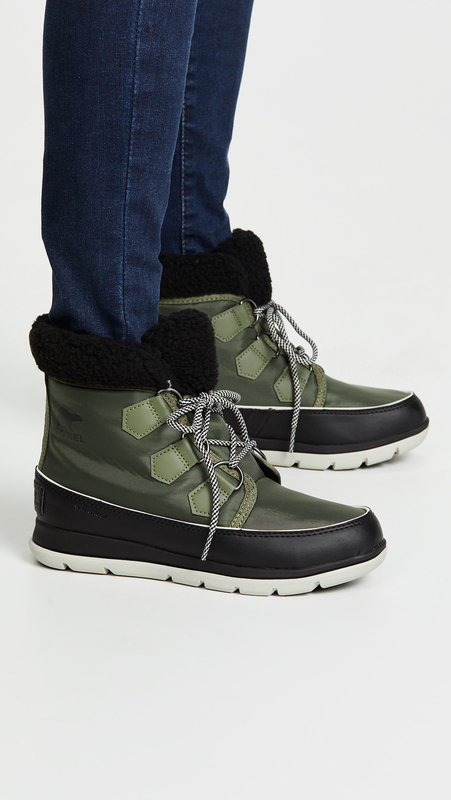 I am really digging the green Sorel boots, would pull the trigger on them if I didn't already have a pair of foul weather boots. Great boot posts today & yesterday. Those LLBean paw protectors are the bees knees! GOACA request from a seriously walking-challenged Chicagoan: Real-world input on the BESTBESTBEST traction snow boots. I’m deathly paranoid of slippery walking conditions after an ice-induced concussion a few years ago. Any other klutzes out there who have found dependable boot treads? (I tried Yaktrax a few years ago and they were impractical for the variety of city “underfoots”.) Thanks! GOACA request from a seriously walking-challenged Chicagoan: Real-world input on the BESTBESTBEST traction snow boots. I'm deathly paranoid of slippery walking conditions after an ice-induced concussion a few years ago. Any other klutzes out there who have found dependable boot treads? (I tried Yaktrax a few years ago and they were impractical for the variety of city "underfoots".) Thanks! My SIL who has ankle injuries from skiing (the jumping off cliffs kind) swears by Vibram soles: https://www.aspensojo.com/articles/2018/11/20/the-sole-that-will-save-you. We tried them on a recent trip to Quebec and never felt shaky — and those hilly, impossible-to-clear sidewalks are scary. Thank you so much, Maggie! I’ve def heard of Vibram, will investigate the recommendations in that link. So grateful! Thank you so much, Maggie! I've def heard of Vibram, will investigate the recommendations in that link. So grateful! Icebugs!! This brand makes boots with studded traction already built in- I have them, and they really make all the difference on an icy sidewalk. Thanks a bunch, DF–never heard of Icebugs but I’m psyched to check them out. I appreciate your input! Thanks a bunch, DF--never heard of Icebugs but I'm psyched to check them out. I appreciate your input! Yikes! The link for those lined motorcycle boots is dead. Can you fix or reply with where they’re from? They look toasty. Thanks! Yikes! The link for those lined motorcycle boots is dead. Can you fix or reply with where they're from? They look toasty. Thanks! Alysa, the link is working for me. Are others having this problem? They’re Sam Edelman Jeanie boots, and they’re from Shopbop. Alysa, the link is working for me. Are others having this problem? They're Sam Edelman Jeanie boots, and they're from Shopbop. Kim, do you ever moisturize your dogs’ paws in winter? Or does that drive them crazy too? Maybe next up should be winter moisturizers for humans and dogs, LOL! Kim, do you ever moisturize your dogs' paws in winter? Or does that drive them crazy too? Maybe next up should be winter moisturizers for humans and dogs, LOL! I’m a big fan of La Canadienne boots and have three pairs. 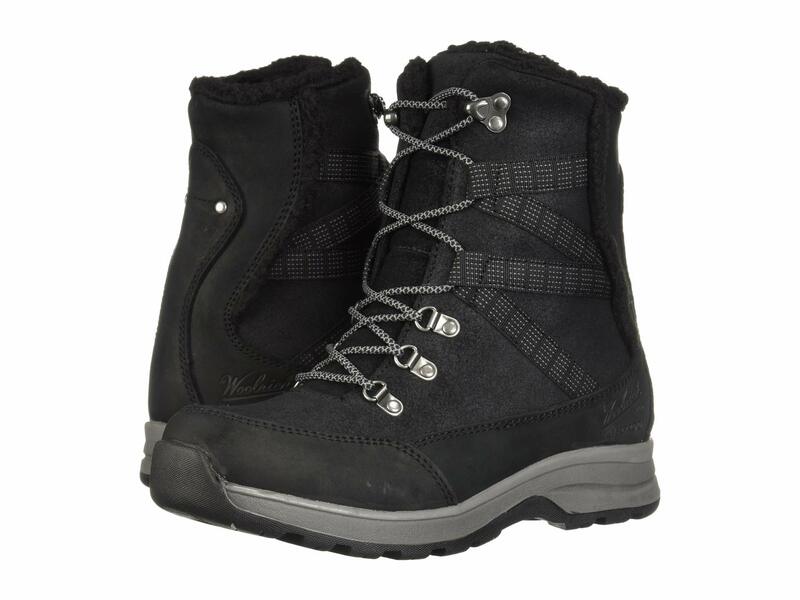 They’re well-made, comfortable and even the ones with warm lining and treads don’t look huge and clunky like so many winter boots. I also love that they’re simple, clean-lined and pretty much unidentifiable. Yeah, they’re expensive, but I just stalk them online and pounce when they get marked down. I'm a big fan of La Canadienne boots and have three pairs. 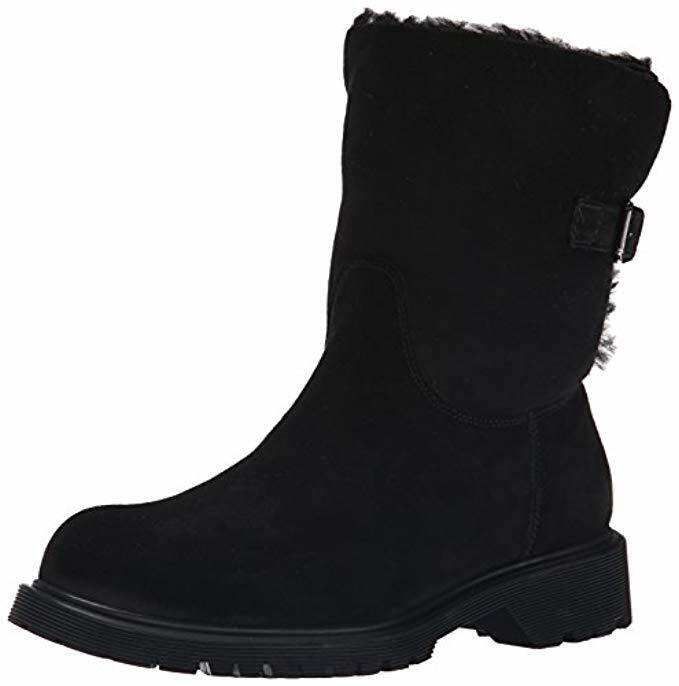 They're well-made, comfortable and even the ones with warm lining and treads don't look huge and clunky like so many winter boots. I also love that they're simple, clean-lined and pretty much unidentifiable. Yeah, they're expensive, but I just stalk them online and pounce when they get marked down. 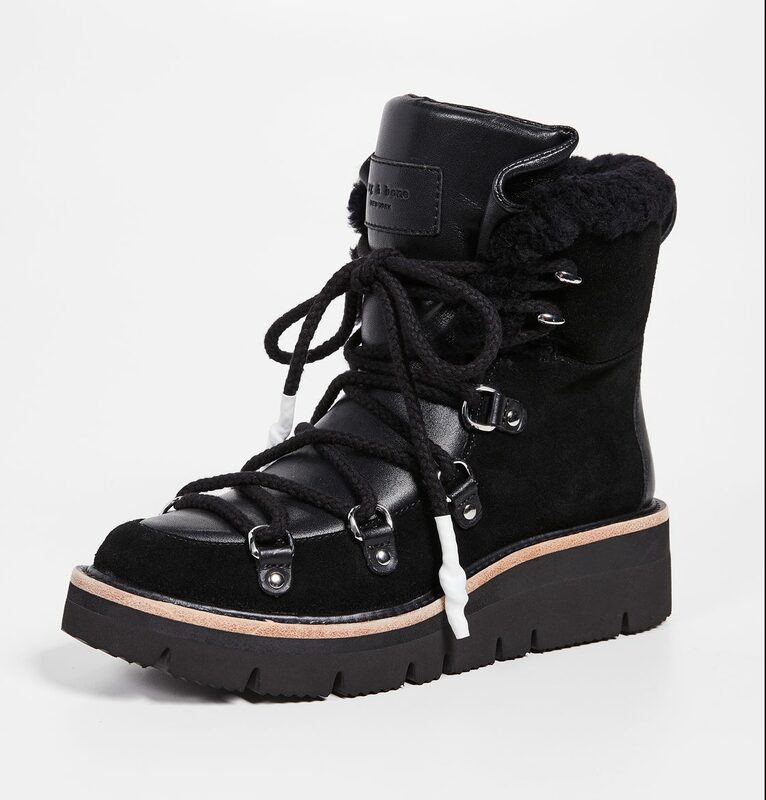 The Sorel boots are on VIP sale at ShopBop, btw. Just picked them up!